Up until I saw Thor with Chris Hemsworth in the title role, I never really cared about the character. My Marvel knowledge was extremely limited up until that point, but in those 114minutes I discovered a character that I could really get behind. That was my first step on becoming a fan of the character. 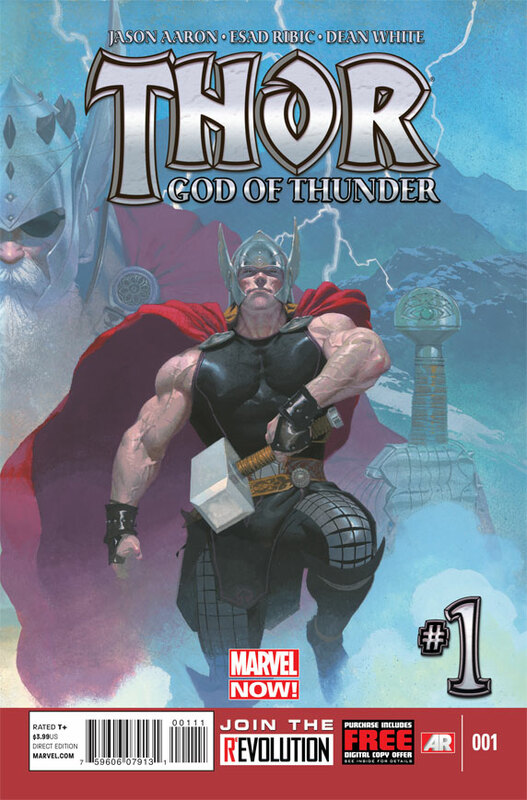 But it wasn’t until last year in December that I really started to appreciate the character, when I began reading Jason Aaron and Esad Ribic’s Thor: God of Thunder (reviews of #1, #2-4, #12, #13, #14-15). The first couple issues were a bit off for me, but the series picked up steam very soon and by the end of its first long arc, 11 issues in all, it had turned out to be something really fantastic. I would tune in each month and be treated to a great story with a great cast of characters of hero and villain alike, and I’d just be entertained, plain and simple. This was all the more important to me since after quite a bit of experimentation Thor: God of Thunder was the only Marvel series that I was actively following month-to-month. In August, Jason wrapped up his first arc with Esad and then moved into a second arc, this time with artist Ron Garney replacing Esad. 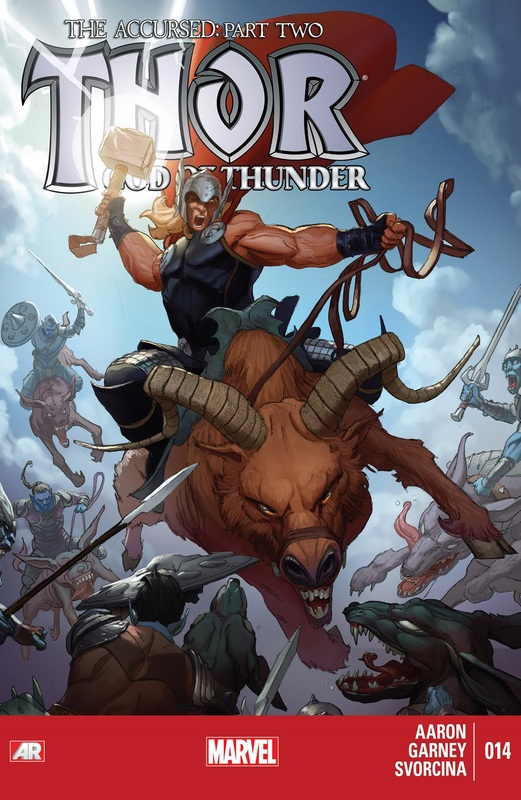 While the art wasn’t as good (it has picked up in the last couple issues actually), the story was still pretty fantastic and Thor was improving with each appearance, especially once Jason increased the scope of the comic to include a full cast of heroes and told a story to parallel the recent Thor 2: The Dark World since Malekith and the Dark Elves were the antagonists this time in both the current arc and the second movie. There’ve been a few questionable circumstances which have cast Thor in a less-than-good light, but by and large he has been a favourite character of mine this year. What I really loved in the first arc was that we had not just one Thor, but three! Past, Present and Future. Damn neat if you ask me and kudos to both Jason and Esad for executing that first arc with Gorr the God Butcher so well. Posted on January 2, 2014, in 12 Days of Best SFF Characters of 2013, Book Lists and tagged 12 Days of Best SFF Characters of 2013, Book Lists, Comics, Cosmic, Dark Elves, Esad Ribic, Gods, Gorr the God Butcher, Jason Aaron, Malekith, Marvel, Marvel Comics, Marvel Now, Norse Gods, Norse Mythology, Ron Garney, science fantasy, Space Opera, Superheroes, Supervillains, Thor, Thor: God of Thunder. Bookmark the permalink. Leave a comment.